CALPER is one of the national Language Resource Centers (LRC) funded by the Department of Education. Funding for the development of the contents of this website comes from a grant P229A140026 from the U.S. Dept. of Education. However, those contents do not necessarily represent the policy of the department, and you should not assume endorsement by the Federal Government. 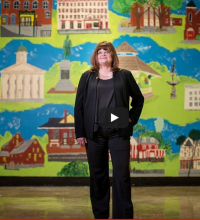 Funding was also provided by the Center for Language Acquisition at Penn State. 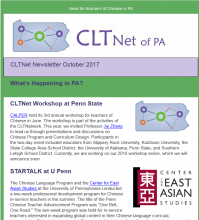 CLTNet of PA is an initiative by the Center for Advanced Language Proficiency Education and Research at The Pennsylvania State University.